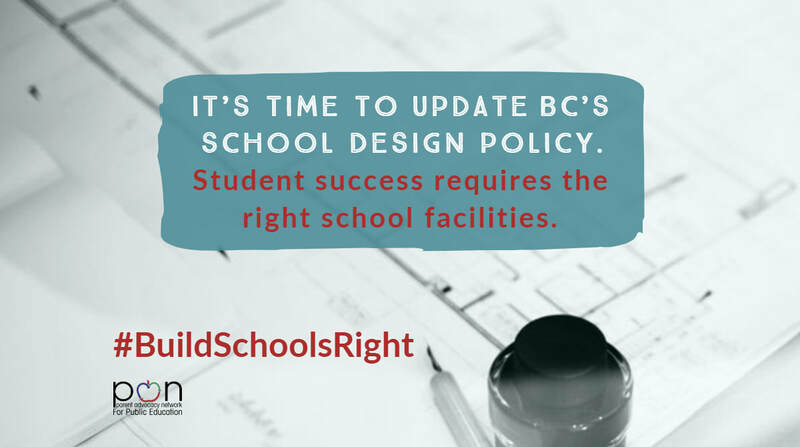 Use our quick and easy email tool to tell BC’s government leaders that it’s time to update the school design policy. Ministry announcement on March 1. Funding model review discussion paper. Panel's Summary of stakeholder engagement. Report of the Funding Model Review Panel 2018. On March 15, the Ministry of Education (MoE) announced district Operating Grants for 2019/20. Vancouver (draft will be presented for Board approval in April, 2019). The Parent Advocacy Network for Public Education (PAN) is a non-partisan grassroots collective of parents and community members who share a commitment to public education. We are working to address the chronic underfunding and devaluing of public education in Vancouver and across British Columbia by creating a strong network of parents who support one another in advocacy.